You might’ve already heard about Dr. Dre – the famous rapper who won the hearts of millions of fans worldwide for his top-class rap music. Now, what you might not have known is that he’s the proud owner of Beats – or, if we’re to be a little more specific, “Beats by Dr. Dre”. This magnificent brand started out in 2006, and they got pretty famous as Dre himself did a pretty solid job on marketing it, and for a good reason too – Beats earphones, earbuds, and other electronics represent the state-of-the-art technology, which is one of the main reasons why we’re so interested in BeatsX Wireless Earphone, In-Ear Headphone model. Furthermore, Beats did such a good job that they attracted the attention of Apple, which acquisitioned them shortly after they appeared on the music scene. BeatsX Wireless Earphone is so unique and good that they don’t actually belong to a certain generation of products. They are a standalone model of premium-quality earbuds that offer various benefits, including a superior sound output, a well-balanced soundstage, a smart design, and more. We’ll talk about the design of BeatsX Wireless In-Ear headphones, the color variations they come in, their performance, and, of course, why they’re so good for the cash. 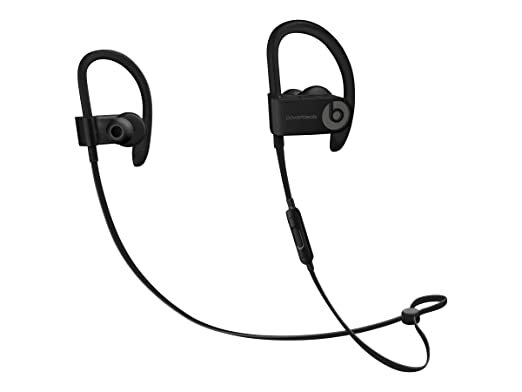 For comparison’s sake, we’ll even compare the performance of BeatsX Wireless Earphones and other top neckband earphone models, such as Bose QuietControl 30, Beats Tour 2, and Beats Powerbeats 3. BeatsX earbuds feature a beautiful, yet smart design. They’re wireless, but they do feature a small cable that connects the buds, so it’s safe to say that they’re pretty convenient. These earbuds are best for people who don’t want to bother with tangy cables, as all you have to do is simply insert the buds and hang the cord around your neck. The plain and simple design of these earbuds is actually the best thing about them – there’s a small toggle button that governs the volume of your songs, and there’s also a small button that toggles the earbuds on and off. As for the color variations, BeatsX Wireless In-ear Headphones come in four different options – black, blue, gray, and white. Each model features the same properties and characteristics, and the only difference between them is the color of the cord and the buds. Overall, the design rating of BeatsX Wireless In-Ear headphones is 5/5. They’re very plain and simple, they’re easy to use, extremely convenient due to no cables, and they’re quite comfortable too. It’s safe to say that they’re absolutely perfect in this field of performance. We can connect the performance of BeatsX earbuds to the features they come supplied with, and to the overall design. They’re completely wireless, which means that there are no cables to bother you. On top of all, they’re supplied with long-lasting batteries that can endure up to eight hours of play time. Furthermore, they come with perfect transistors that provide a superior sound output. The soundstage is magnificent, the bass is deep and clear, the midstage is absolutely terrific, and you won’t have to struggle to differentiate the vocals from the instruments. 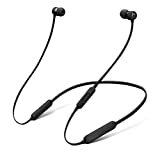 The Class 1 Bluetooth connection needs to be mentioned as well – BeatsX Wireless In-Ear headphones are supplied with the Class 1 (latest) Bluetooth that supports all of the latest electronic technology. 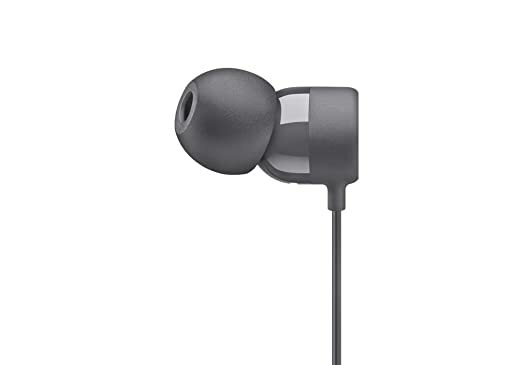 This earphone also used Apple’s W1 Chip, which helps this Bluetooth headphone to instantly connect with any apple device. Don’t worry, if you are a non-apple user, your device will connect with the traditional method without any hassle. The reception is fast and undisrupted, so we guarantee that you’ll enjoy your earphones every time, all of the time. W1 chip also helps to increase the performance of the built-in battery. With the help of fast fuel technology, you can get up to 2 hours of playtime just from 5 min charging. The battery support up to 8 hours of playtime. You’ll need to use a lightning cable for charing. The overall performance rating of BeatsX Wireless In-Ear headphones is 5/5. The manufacturer has laid everything on the line with this model, and there isn’t a single downfall when it comes to the performance of this amazing headphone set. The sound is nearly perfect, and the convenient Bluetooth method of operation only contributes to convenience and performance. Premium-quality Bluetooth connection: The first and most important feature of BeatsX Wireless In-Ear headphones is the premium-quality Bluetooth connection. The Class 1 connection enables wireless experience – the reception is clear, and most electronic devices will support this feature easily. Long-lasting battery: BeatsX Wireless In-Ear headphones are supplied with a battery that can easily last for 8 hours before you need to recharge it. Fast Fuel feature: If your needs for music surpass 8 hours of play time, you can always use the Fast Fuel feature to breathe second wind to your earphones. This feature allows for super-fast charging times, as 5 minutes of charging are equivalent to 2 hours of play time. Remote Talk feature: The whole point of wireless headphones can be seen in the remote method of operation. With the Remote Talk feature, you can easily take calls, activate Siri, and control the music freely. Secure-fit wingtips (optional and removable): The Secure-fit wingtips come with the package, and they make wearing your BeatsX Wireless In-Ear headphones more comfortable. If, however, you don’t like them, they’re very easy to remove. If you can’t find your charger (or if it’s already in use), you can always use the USB cable to charge your BeatsX Wireless In-Ear headphones. Generally speaking, BeatsX Wireless In-Ear headphones aren’t too expensive. Now, if we compare them to other headphones, they actually cost quite a lot. BeatsX earbuds belong to the “expensive” price point category, which labels them as high-end earphones. One question remains – are they worth the cash? People who’re really into music – audiophiles, music enthusiasts, and music lovers wouldn’t mind paying over $100 for a set of premium-quality in-ear headphones. On the other hand, people who’re low on budget might not feel so inclined of paying extra when they can find a similar set of headphones for less cash. This leads us to the conclusion that BeatsX Wireless In-Ear headphones are worth the money, but only if you don’t mind spending quite a lot of greens. BeatsX Wireless earphone look plain and simple while Beats Tour 2 (Checkout Beats Tour 2 full review) looks quite modern. As for the matter of which model features better specifications and the level of performance, the answer is hard to give – both of these earphone models were made by the same brand, so the manufacturing was performed by the same workforce and with the same equipment. 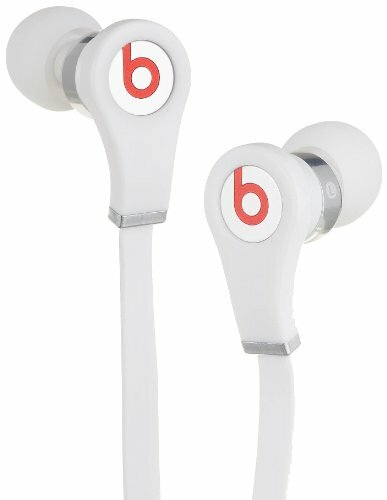 As for the price, Beats Tour 2 is slightly cheaper, even though the value for the cash can easily compare to that of BeatsX Wireless In-Ear headphones. All in all, both of these models are high-end earphones, so you can’t go wrong if you choose either of the two. If you’re struggling between BeatsX Wireless In-Ear headphones and Bose QuietControl 30 (Checkout Bose QuiteControl 30 review), let’s see what you should take into consideration. For starters, QuietControl 30 is much more expensive, but it comes supplied with a set of better features. Furthermore, the battery of QuietControl 30 is better (10 hours compared to BeatsX 8 hours of playtime). The first notable difference between Beats Powerbeats 3 and BeatsX is in color variations. The price of these items is quite similar, as they belong to the same price point category. Both of these models are supplied with a set of similar features since they’re made by the same brand, but they don’t provide the same sound output – BeatsX is superior in this field. Powerbeats3 also features longer playtime (with 12 hours when compared to BeatsX who can supply 8 hours of play time), the Fast Fuel feature (same as BeatsX – fast recharge with 5 minutes being proportional to 1 hour of play time), and the Class 1 Bluetooth connection. BeatsX Wireless Earphone is definitely one of the best headphone sets on the market. The features it comes supplied with are amazing, the sound output is purely ravishing, and even the price is not so bad if you can take all of these benefits into account. If you like this model, you may also like Bluephonic Wireless Headphones, as they’re fully sweatproof and waterproof. They’re also outfitted with state-of-the-art technology, and a lot cheaper when compared to BeatsX. Another great (and cheap) alternative is Phaiser BHS-750 (see Phaiser BHS-750 Review) – this model is wired, and it comes at a much less price, but a great performance compared to its price.